The Sutherland Shire Writers' Festival Picture Book Competition is on again this year. But now illustrators can get in on the action with an Illustration Competition as well. 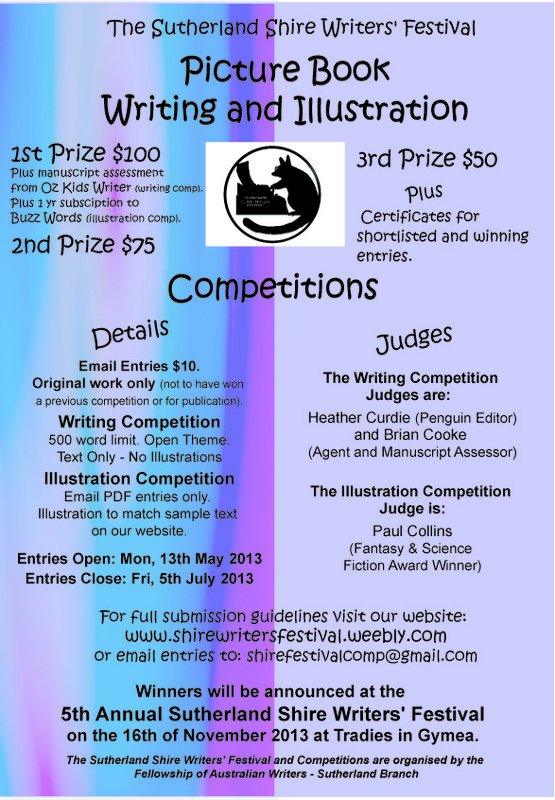 Entry is only $10 ($12 for postal entries) and the final judges are some of Australia's best editors and agents. 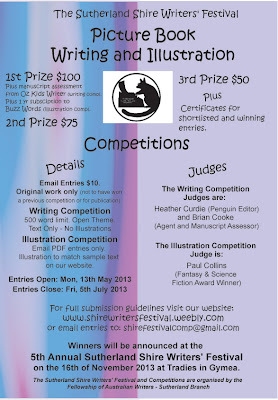 For your chance to get your work in front of heather Curdie, Brian Cook or Paul Collins check out the competition details at www.shirewritersfestival.weebly.com. The Sutherland Shire Writers' Festival is now over a whole weekend! Over 16-17 November you can hear the best of Australia's writers for kids, young adults and adults plus workshops and publishing consultations.